APPLE IS NOT A SPONSOR NOR IS INVOLVED IN THIS CONTEST. Amazing Dodo Cooperation Contest Begins! With MORE MONEY! Champion: Premium starts from USD 8000 and increase the amount of money according to the numbers of joint players! The 2nd Winner: Premium starts from USD 4000 and increase the amount of money according to the numbers of joint players! Contest period: From New York Time 0:00, August 1st, 2013 to 23:59, December 24, 2013. So, try to get your fingers quick and fulfill your friend list! Large amount of money is waiting for you! Amazing dodo is diffierent from other puzzle games. You will be addicted to Amazing dodo and play with your friends together. Try it! You will be the next master-hand! •100 levels for you to challenge. It is simple but challenging. Many speedy special levels inside! 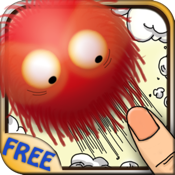 •Save level function can help you to challenge difficult levels again and again without playing from the very beginning! •6 special dodos to help you pass. Attacks of Special dodos are diverse and gorgeous. •Unique Combo system for you to enjoy the pleasure of quick touch. •There is a kids mode for your kids to play dodo easily. •Versus mode is exciting and full of strategy. You can battle with your friends or players all over the planet ! •Cooperation mode is to test your tactit and improve your relationship. You can play with your friends together to pass the level and get high scores. •With facebook friends list, you can get your facebook friends to online game. There is a historical old house in the deep mountain area. One day, the naughty mountain wizzard ""dodos"" found the old house accidently. Dodos entered the house to explore. They began to like this old house when they stay there longer. Finally, this old house became their party place. Dodos held jolly and bustling parties in the old house every day, until one day, a man is going to move into the old house. Thus dodos call partners of their kind, try to let the human out of the old house. Clean the house quickly! Or the floor will be crashed by too many dodos! • Touch twice to elimiate a dodo. •Dodos with the same color will gather and become a bigger dodo when they are close together; they can be BIGGER when big ones are close together, too. •To touch and elimiate the big dodo, you can get different special dodos that can perform special effect. The bigger the dodo you elimiate, more powerful the special dodo you can get. You can make sparkling dusts full of the screen when you elimiate a big dodo. You can elimiate a dodo by just touching once during dust falling period, enjoy the Combo time! •You will see sleeping dodos after a certain level. You have to shake your device to wake up sleeping dodos! •Dodos have weight. The wooden floor cannot bear too many dodos and break down to end the game. You will give your competetor many sleeping dodos when you elimiate a big dodo. The bigger the dodo you elimiate, the more sleeping dodos you give to your enemy. Besides, your combo can also send more sleeping dodos to attack you enemy. Try your best to show your tecknique and strategy! You will send your friend a period of sparkling dusts to help your partner pass when you elimiate a big dodo. The bigger the dodo you elimiate, the longer the period of sparkling dusts you send to your friend. Get your tactit and get the highest scores in the world! More detailed guide will be posted in the official website. There are latest news and world ranking list in the offical website. You can see your personal scores, too. Your suggestions and comments are always welcome. They are our most valuable information.